With a couple of hours available and a good WiFi everyone has the possibility of learning and educating himself on data feed management. The downside is that you will spend a large amount of time getting informed and by the time you're done you won't know where to start from. It's easy to be overwhelmed and lose sight of the big picture. Which shopping channels to advertise on? 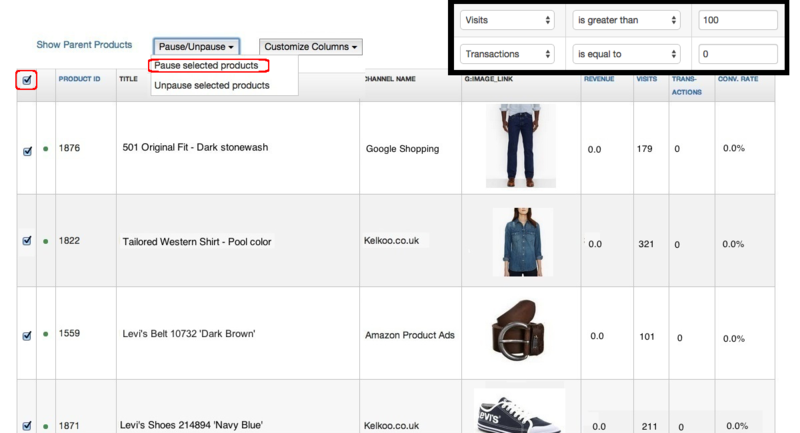 How to list the data feeds on shopping channels, comparison search engines, and marketplaces? What are the benefits of automating the export of the data feeds? 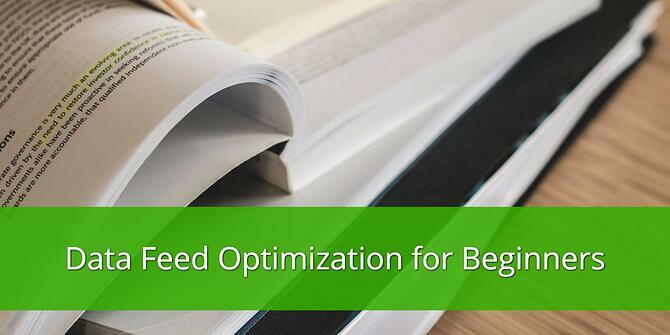 The advantages and benefits of Data Feed Optimization? If you’re a retailer or you manage retail clients, your main priority is to maintain inventory feeds and ensure that all products advertised are in stock and up to date. Even with a small inventory, unless you monitor what is in stock 24/7, keeping products up to date, in real time, is not something people excel at. Almost every merchant online is advertising their products with Google Shopping Campaigns. The image-based product listing ads are more powerful at attracting consumers than text ads, and appear on Google’s result page and in Google’s comparison shopping engine. Product listing ads get prime visibility on Google Search, which makes them so desirable. But Google is not the only place to advertise, as some marketers seem to forget. There are many other channels worth advertising with, including Bing, which has a similar proposition but a different audience and a lower cost. Amazon and eBay are also very powerful channels for merchants to either advertise their products on a cost-per-click basis or to sell their products within the marketplace. You’ll need to set up an account with each channel. In that account, you can see how much they charge for every click to your site or you can set a maximum bid per click. You need to upload your products. So far it’s pretty simple. All you have to do is export your data feed and your ads will appear on some of the largest shopping and search channels. Manual: You export all product data to Excel and you manually modify that file so that it matches the requirements of the channel that you would like to be on. You can upload the finished file manually. URL: There are many shopping carts that are able to export the product data to a URL automatically. A data feed tool or a channel can fetch the data feed from that URL every day. 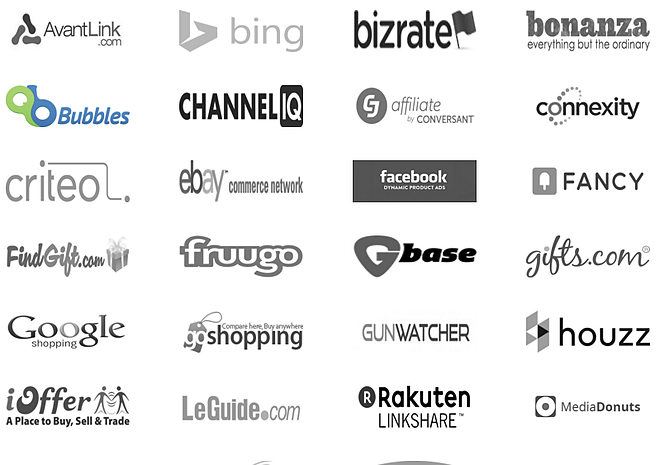 Apps: Many shopping carts (like Shopify, Magento, BigCommerce, 3DCart, etc.) have apps or extensions that do a daily export of your product data, directly to a channel or to a data feed. It’s pretty clear that manually exporting your data is a tiresome and unnecessary way to go. Stock levels go up and down when you sell and restock. You add and remove products from your store. You can update at least once a day, easily. You won’t spend any time on tedious manual labor. You will not need any help from developers. Exporting your data feed is really only step one, and automation can also help you optimize your feed. There are 3 main benefits to optimizing your data feeds: fewer disapproved products, more clicks and conversions and increased ROI with detailed Analytics. Most data feeds contain some errors: missing fields, wrong URLs, no variants, etc. On many channels, this will lead to ‘disapproval’. In other words: these products will not be listed. A data feed tool enables you to fix these errors so you can list and advertise all your products on the channels of your choice. Following a simple “if then” rule, any field that is incorrect can be corrected using the following setup. A similar “if then” equation was set up for blue, green, etc. The rule then applies to the entire product list, and going through this step is much easier than going through the entire feed one product at a time. Better product titles: By adding the brand, type, color, size, etc. you can have a more compelling title than whatever was originally written in the data feed. For example, “Levis 501 blue jeans” is a more compelling title than “501” which may have been the original title. Exclude items: Exclude products that are out of stock, out of season, or low margin by setting up another “if then” rule. Add categories: If the channel understands what you are selling, they will be able to better match your products to the right queries. That will increase your conversion rate. In the example below, if the product has a category that includes “skinny” the suffix “jeans” will be added to clarify what the product is. With the proper data feed tool, you can know the performance of every single product on each channel. This enables you to distinguish your best selling products from the unprofitable products so that you can remove products that don’t sell to improve your ROI. Which data feed tool is right for you? Functionality: Does the tool enable you to make the optimizations you need? Analytics: Does it get you performance data at the product level? Reach: Does it offer the channels that you want to be on? Price: Is it affordable for your business? ROI: Will you see a return from this solution that will justify your investment? SEM agency features: Is there a plan tailored to agencies?